Disclosure: I received a free digital copy of this book from Ignatius Press in exchange for the review you see below. I wasn’t compensated in any other way, and the thoughts you see are completely my own. I’ll admit that I don’t read very much religious fiction. Generally, I feel about it the same as I do about Christian rock music — it’s okay for some, but I find it a little heavy-handed at times. A little too much, “God is everywhere!” for my taste. I would rather find where an author might have included some religious aspects in a secular work. I like to work for it a little bit. 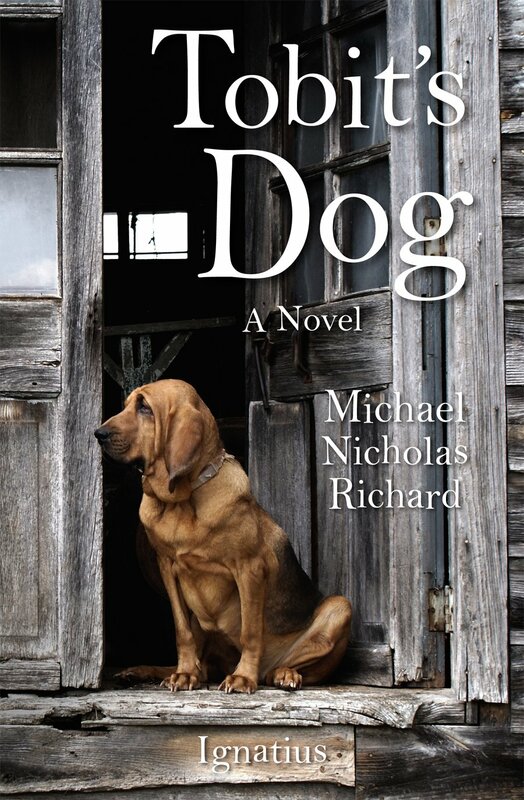 You can understand, then, why I was excited but a little wary about taking on a “Catholic” novel like Tobit’s Dog by Michael Nicholas Richard. But, I do like to read and I am Catholic… so I gave it a whirl and I was pleasantly surprised. While some of the Catholic imagery and symbolism is a little heavy-handed, I felt myself genuinely caring about the characters. The title character (kind of), Tobit Messager, is an African American man living in the South during the Great Depression. He’s a good, hardworking man, but many of the local white folks are distrustful of him because of something that happened with his dad a long time ago. Despite the poor way he’s treated, Tobit takes extra care to always do the right thing and live as the Lord would like him to. There’s a very moving, racially-charged event that occurs (I won’t spoil what it is for those that are going to read the book, as you should! ), and, through some interesting consequences, Tobit is rendered blind afterwards. One of the ways he’s able to deal with his new blindness is through the kindness of a number of members of the community, including his wife Anna, son Tobias, and Tobias’s boss. In addition, his intuitive dog, Okra, serves Tobit faithfully. Okra, the real title character I suppose, is able to sense his master’s needs and judges many of the characters coming through the story. In fact, Tobit’s family is visited by a far-flung relative who takes Tobit’s son and Okra on a journey to settle a debt that another family member has to Tobit. I told you — lots and lots of characters! It’s this journey where we see much of the Holy Spirit, God, and Devil symbolism and metaphors in the story. As with many novels, the young man on the journey runs into many obstacles and is able to overcome them with help from varied sources. I won’t sum up more of the plot than that. One of the things I most enjoyed about this story were the characters and the few twists and turns along the way, so I don’t want to ruin them. While Richard, the author, does hold our hands a little bit to help us see his ideas of God’s impact in our lives and why our treatment of others (no matter how they compare to us) is important, it’s for a good cause. Ultimately, it’s easy to see how things haven’t changed much in the last century or so — we’re still hurting others for no reason other than our own prejudices, and that’s not what we’re called to do. Through Tobit’s struggles, the journey of Tobias, and the interactions of the cast of characters, this story serves as a much-needed reminder of our calling to treat others like Christ.